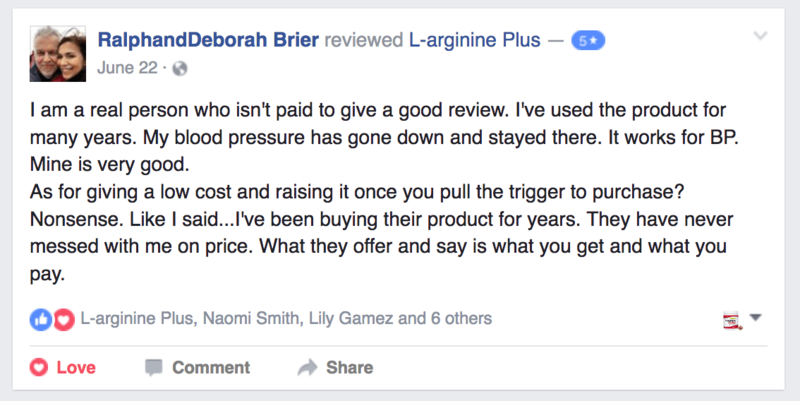 Note: All testimonials are documented from real individuals and not fabricated in any way. 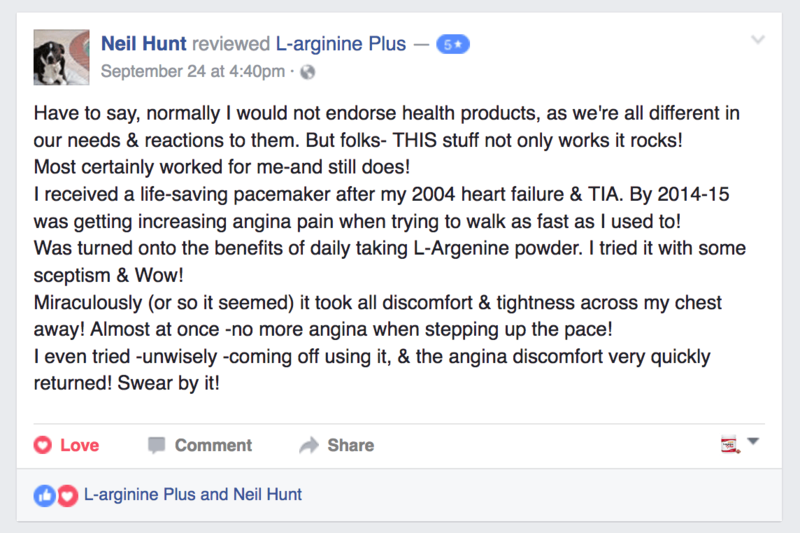 Testimonials included here have not been solicited, but voluntarily provided by customers who actually use L-arginine Plus to support their health in a variety of ways. Results are not guaranteed and results may vary from one individual to another. 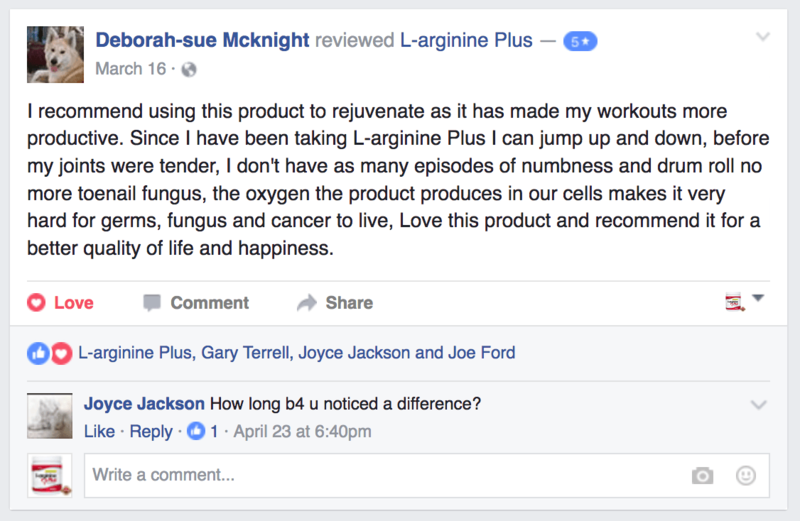 * As with all information, products, and services, results are not guaranteed and may vary from one individual to another. Statements made, or products sold through this website, have not been evaluated by the Food and Drug Administration. They are not intended to diagnose, treat, cure, or prevent any disease.